Duration: 03 Nights / 04 Days Package. 02 Nights accommodation at Srinagar in Houseboat. 01 Night accommodation at Sonamarg in Hotel/ Tent . Shikara trip on Dal Lake in Shikara. All transfers and sightseeing by Exclusive Tavera/Innova/Xylo car as per Itinerary. 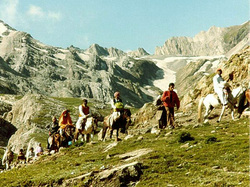 Destinations: Srinagar – Sonmarg - Baltal - Holy Amarnath Cave – Mughal Garden -Gulmarg. 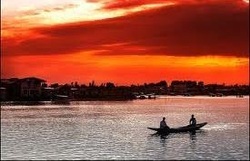 03 Nights accommodation at Srinagar in Houseboat. 01 Night accommodation at Sonamarg in Hotel/ Tent . Shikara trip on Dal Lake in Shikara. 04 Nights accommodation at Srinagar in Houseboat. 01 Night accommodation at Sonamarg in Hotel/ Tent . Shikara trip on Dal Lake in Shikara.